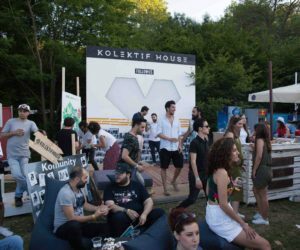 Kolektif House is born in 2015. 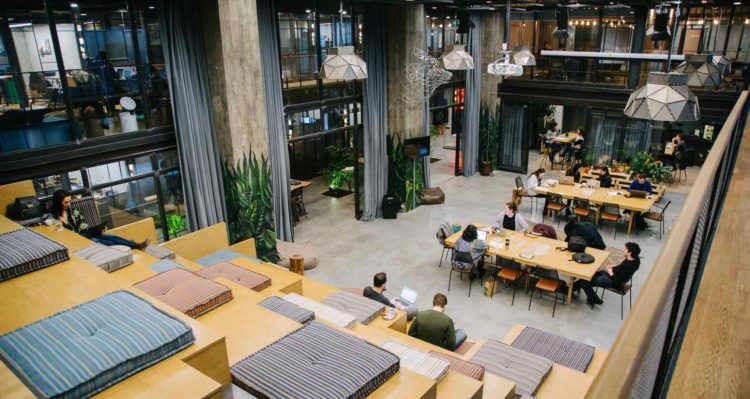 The Turkey based operator depicts itself as “More than a co-working space : a platform for creators who love what they do and believe in the power of sharing“. Today, Kolektif House claims it connects 1300 freelancers, startups, investors, corporates and mid-size companies, in Istanbul. Ahmet is the co-founder of Kolektif House. The company operates two locations in Istanbul and will soon open a third one. Hi Ahmet, can you tell us more about the story behind Kolektif House? We started Kolektif House when my close friend Civan, one of our partners and current CDO, returned back to Turkey after graduation in the US. He was then searching for his dream office. He asked me for help to find an inspiring and affordable workspace; soon enough we realized that there was a big gap in the market for such a product. This led us to start our own project, Kolektif House, to not only create an office space but actually transform the concept of ‘working’ to a feeling of ‘creating value and belonging’. You said there was no market for coworking, in Istanbul, back then. How about that? There was a market potential, but, frankly, not a significant enough supply or adequate products to support that potential. What was established in Istanbul, back then, were standard office spaces whereas our aim was to challenged the status quo by focusing on the community aspect. We strived to create such a community that not only worked under the same roof but also interacted with one another at a social and professional level, where people shared their opinions and did business together to create something inspiring every day. 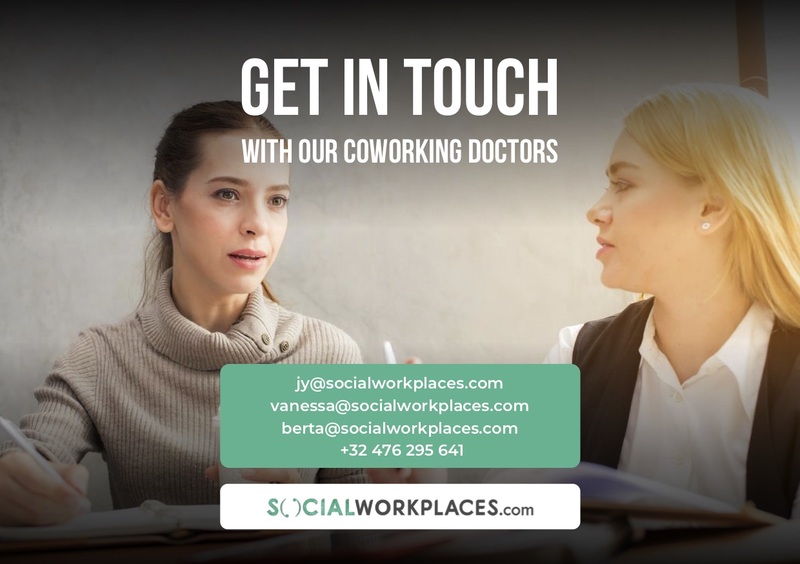 How did you raise the awareness about coworking? We had almost no budget for marketing and only a few people in our team. Our main awareness builder has been our events policy. We held events with local artists and offered them our walls so that they could display their expressions, ideas and artworks in our space. We invited an ice sculptor from the other side of the world to one of our Sunday breakfasts for a live performance. We hosted Turkey’s greatest comedian, musicians and actors in our talk show series. Besides, we attended One Love, one of the biggest festivals in Turkey, by convincing organizers to provide us with free space in exchange for a creative idea to showcase at the venue. So, we printed 1,000 photos of attendants and lighted up the festival area with a heart shaped artwork made of printed photos under the “Thousand Faces of One Love” motto. As far as the corporate brands in Istanbul are concerned, we invited executives to hold their events in our place with no charge and promised to serve them the best service they could find elsewhere. I would literally clean up the place every morning and Civan would serve tea just before we change to our suits and greet guests at the reception area. We would do everything we could to compensate for our deficiencies which went as far as lighting up the room with candles in our hands when we lost electricity during a very important conference that was held in our space. And today we evolved to a stage where we host events for leading brands such as Nike, Vodafone, Accenture, Is Bank, Yandex and many more. Who were the people/profiles you had first to convince? Regardless of their business, our aim, since day one, was to lure people who are passionate about what they create. Due to the nature of the coworking space, our first members were mostly freelancers and startups. As we grew, we saw greater opportunity in diversity and in having different types of companies from various sectors. Today we have a member portfolio consisting of 10% corporates, %30 startups, 30% SME’s, 20% freelancers and 10% VC’s. Among our 1300 members, we have Turkey’s leading bank Is Bankasi, Turkey HQ of Yandex, successful startups that have expanded internationally and global VC’s such as 500 Startups. What are the communication channels you mainly used to get out of anonymity? As said, events have been the major driver for us. Once we put a great show, influencers posted it online, press wrote about it, participants shared on their social accounts and most importantly, it leads to a strong word of mouth. Today we have a 360 degrees approach in marketing; we have a platform called KoMag to publish inspirational contents, we have added paid promotion on top of our organic Social Media strategy, we remain close relationship with influencers and press and keep collaborating with artists which drives brand recognition and loyalty. 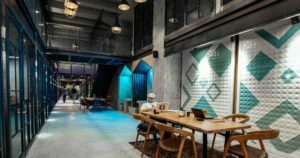 Is Turkey a coworking friendly the same way you see it in other European countries? Culturally, Turkey has a great community history, which is the coworking’s pillar. However looking at the recent past, we have not been great at picking up and scaling the global trends. Shared economy and coworking is one of these lately picked habits. I believe it will just take a little longer for Turkey to penetrate, but the potential and the energy is out there so I believe Turkey is a good fit for building a coworking ecosystem. Has it to do with a scarcity of financial resources? Or a lack of meaningful allies? I believe financial resources can always be pointed as a limiting factor in any kind of business. However when you look at the bigger picture, having people understand what we really do here and the value we add to their business was the biggest barrier for us. Initially people only thought of the economic advantages of moving to a coworking space, but today even the most traditional corporates see the benefit of offering flexible working hours, interaction with a community and an inspirational work environment in their employees’ happiness. Based on your experience, what would you recommend new operators in low “coworking-awareness” areas to do first? People have always been eager to be a part of a community, regardless of their era, nationality, geographic location, or demographics. The coworking trend is just a reflection of that same sense of belonging. So it is not about the destination, it is about the process of how you bring those minds together under the same roof. And the starting point of that process should definitely be paying genuine attention to what those minds say. This will help them to build more appropriate and target-fit services, and product features. What are the main challenges you have coped with since then? We increased tenfold our size within the last 3 years in terms of surface, number of members and diversity of our community. While doing so, our biggest challenge was to keep improving our service at the same pace which required setting a strong technology backbone and acquiring the right talent. To be honest, I feel like we could have managed these two issues better. Once we realized that we came to a point where we couldn’t organize the events we wanted due to lack of team members or correctly analyze our membership data to make strategic decisions, we started to really move our investments to these two areas that I have mentioned above. Our team today grew to 43 people and we keep hiring great talent from a variety of industries which empowers us to create new departments such as technology so that we can continuously improve our overall service. What are Kolektif’s plans for the future? We help people grow their hearts and their businesses. All of our team is working on many exciting projects to achieve excellence on this mission. In doing so, we will expand both locally and internationally to over 30 locations to serve nearly 34,000 members by 2022. 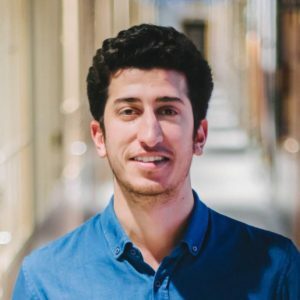 Ahmet will speak at the Coworking Europe 2018 conference in Amsterdam.